New technology always renders some forms of labor obsolete. But displaced workers have historically had, in theory, the opportunity to pursue jobs the new industries technology created. 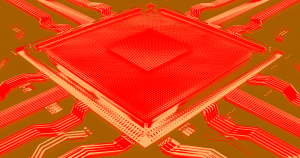 But in his most recent book, “AI Superpowers: China, Silicon Valley, and the New World Order,” Lee argues that AI displacement will be fundamentally different. In a November interview with Futurism, Lee explained that AI will allow entire new industries to be built from the ground up with automation in mind — not only will AI prove cheaper than human employees, but many of the new jobs it creates will be automated as well. Lee told CBS that this wave of automation and worker displacement will happen much more quickly than others, such as the invention and distribution of the steam engine.